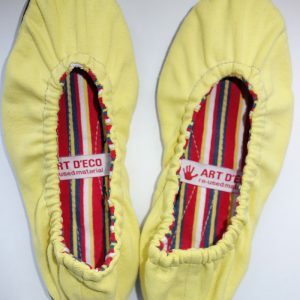 The gym slippers: 100% re-used material are made out of used t-shirts and sweaters. 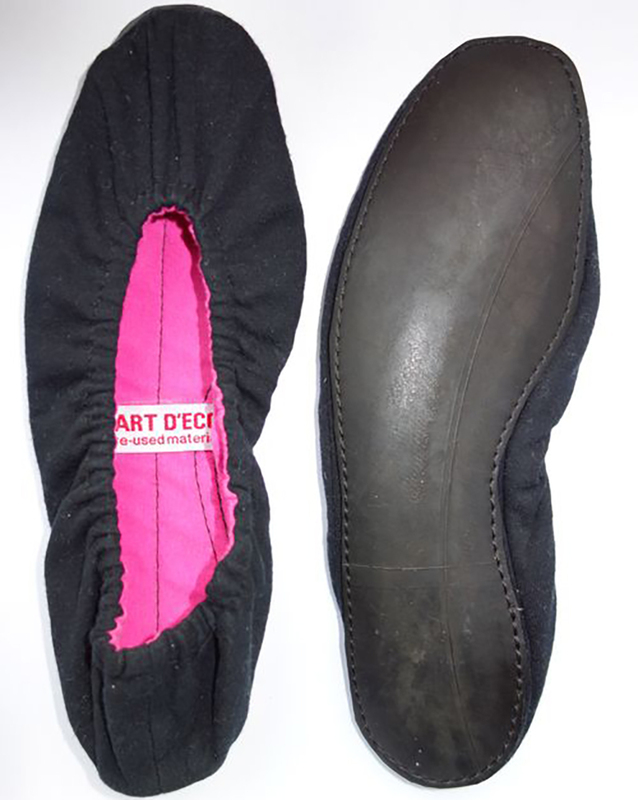 The soles are made of bicycle inner tube. 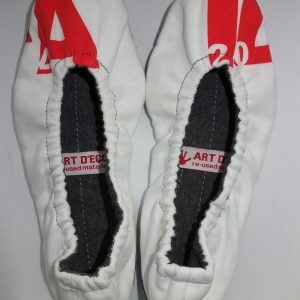 Each pair is unique and handcrafted. They can be used in the house or carried in your suitcase for travel since they can be folded easily. They can be washed in a washing machine. 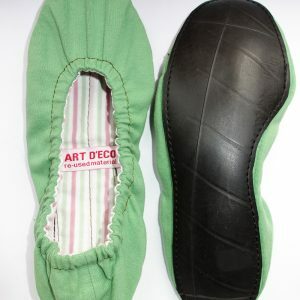 They are especially comfortable for: yoga, pilates, meditation and dance.